See more of Arlene’s Lowcountry paintings by clicking here. 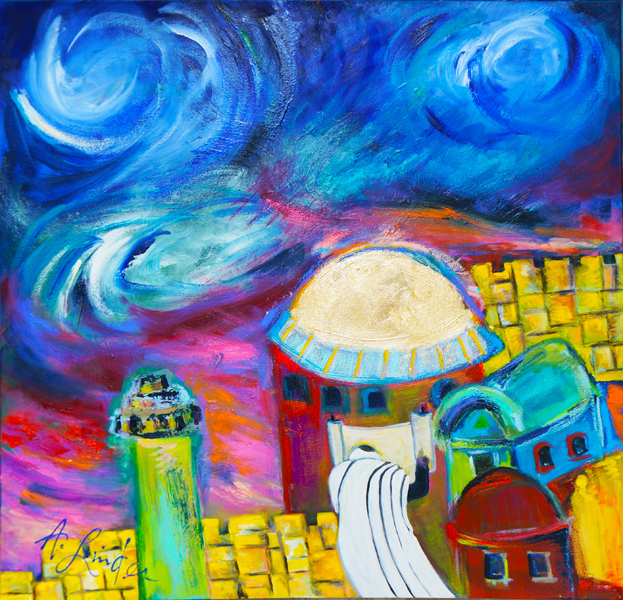 Arlene created this painting as a donation to Congregation Beth Yam on Hilton Head Island. 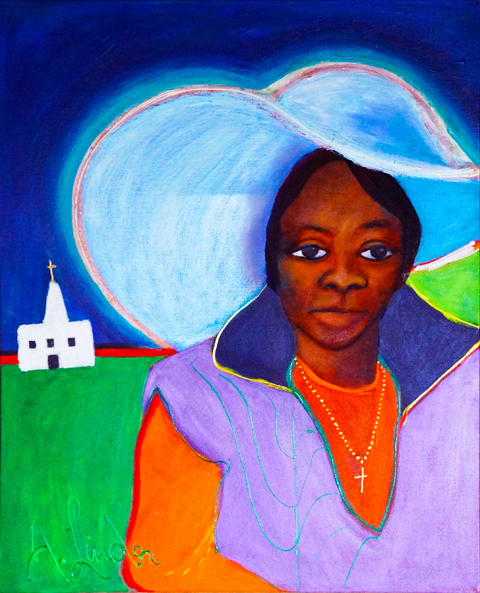 The painting will be auctioned off during the Light Up the Night dinner, dance and auction fundraiser to be held on March 28, 2015. For tickets and more information, click here. Storm clouds loom over the city of Jerusalem and a rabbi raising the Torah. Arlene said the tumultuous sky represents the political unrest and general turmoil plaguing the region.